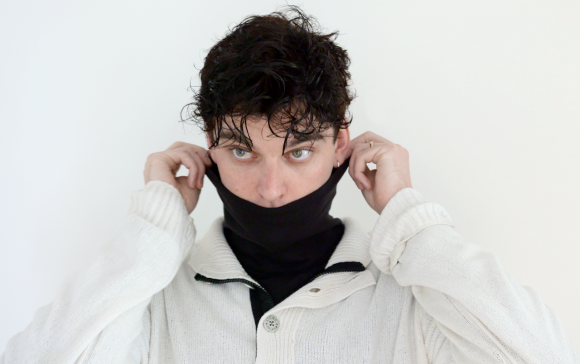 Londoner Benjy Keating is Palmistry, a project with delicate vocals and electronic hypnotic sounds. Those elements can be heard live on Thursday evening, when Palmistry visits Lo-Fi in Seattle. In 2014, Palmistry self-released an LP, the free and enjoyably good (and most importantly – hinting of promising additional material), Ascensión. Then some singles on Mixpak Records, such as “Memory Taffeta.” Two years later, he gave us the debut Mixpak EP, Pagan, loading up on more of those excellently-delivered dancehall vocals, plus starry grooves. Note: The Crocodile is presenting the show, but it’s happening at Lo-Fi. Tickets are available here. Written by: Dagmar on 02/22/2017. This entry was tagged benjy keating, palmistry, posted by dagmar. Bookmark the permalink.